Mi 6X was in leaks and news from past couple of weeks and today, Xiaomi launched the smartphone in China. Mi 6X is the successor to the last year's Mi 5X, which was launched globally as Mi A1. 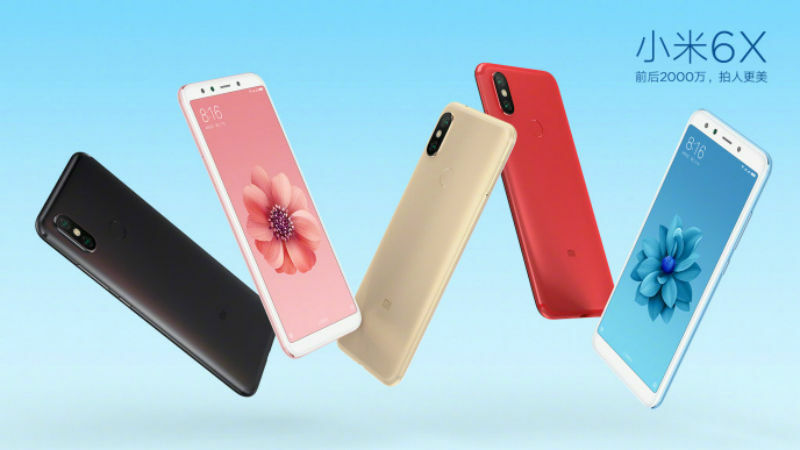 The Mi A1 was the first Android One smartphone launched by Xiaomi globally in 44 countries, and it is expected that Mi 6X will be launched as Mi A2 globally. Mi 6X comes with a 5.99" FHD+ display with an 18:9 aspect ratio. The phone comes with a metal unibody design with is curved on the edges and CNC coated to give it a premium feel. The device now comes with the new QualComm Snapdragon 660 processor which runs Kryo 260 based 8 cores with clock speed of upto 2.2 Ghz coupled with the new LPDDR4X RAM. 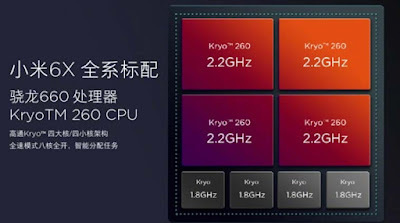 This helped the phone clock an AnTuTu score of 139,208. This is a major upgrade over the previous Snapdragon 625. The main highlight of Mi 6X is the camera. The phone gets a 12 MP + 20 MP vertical Dual Rear Camera setup with an Dual LED flash. The primary sensor is a 12 MP Sony IMX 486 which has a pixel size of 1.25μm and an aperture of f/1.75 whereas the Secondary camera is a 20 MP shooter with f/1.75 aperture. 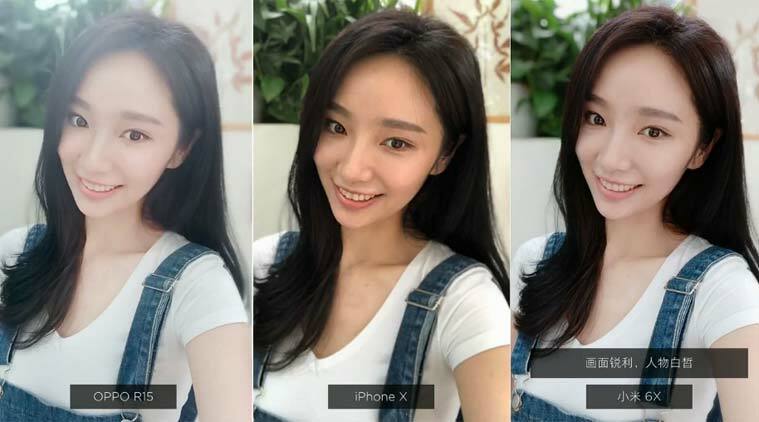 The company claims that the AI powered camera can take much better photos even in low light. On the front, there is a whopping 20 MP camera with a soft LED flash which the company says will help take great selfies in low light. Both the cameras get the Portrait mode which works with the AI to give you great photos. The phone gets a 3010 mAh non-removable battery which supports QualComm QuickCharge 3.0. The phone weighs in at 166 grams and is 7.3 mm thick. There is a Type-C port to charge your device and to listen to music. Yes, there is no 3.5 mm jack this time. On the sensor front, the phone gets all the necessary sensor including the IR Blaster on top. The fingerprint sensor is placed on the back of the phone and additionally, the phone gets Face Unlock also. The phone comes in Red, Blue, Rose Gold, Gold and Black color options. Mi 6X now comes in 3 variants. 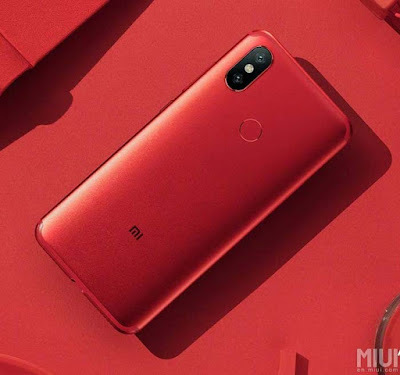 The base variant 4 GB + 64 GB is priced at Yuan 1599 (~ ₹17,000), the 6 GB + 64 GB variant is priced at Yuan 1799 (~ ₹19,000) and the 6 GB + 128 GB Variant is priced at Yuan 1999 (~ ₹21,000). It remains to be seen that if this device is launched in India, then how aggressively it is priced.